The first weekend of the NCAA Tournament was full of clutch #XsOs. These were the most unique sets we saw – download to FastDraw now! Have you caught your breath yet? We may or may not have. The first two rounds of the NCAA Tournament are always a whirlwind. Trying to keep up with so many games each day, not wanting to miss any last second plays or crunch time moments, following on Twitter for instant reactions and comical memes. We did our best to live tweet play diagrams for as many teams playing as possible. Over 100 brand new sets were published on the PlayBank submitted by TeamFastModel contributors. Take a look at our five favorites below. And maybe there’s a bonus play for you as well. Locked in a tight game with Marquette, the Racers ran this quick hitter for their All-American guard Ja Morant. Let’s just say it ended successfully. Even if you don’t have an athlete of Morant’s caliber (if so, consider yourself lucky! ), this backdoor look, called “Blind Pig” action by many, will work. Add it to your ATO Quick Hitters playbook ASAP. As this play happened, and Belmont was not able to convert due a deflection, it had many people confused. It appeared to the public that Bruins were disorganized and scrambling. However, after further investigation, this was a designed play call by Belmont to look disorganized and scrambled in order to cause the defense to fall asleep and open up a backdoor look. It didn’t work this time, as the Bruins lost by 2 to the Terps, but it has worked in the past. The #10 seed Hawkeyes nearly made history by coming back from a 25-point deficit vs #2 Tennessee, which would have been the largest ever in the NCAA Tournament. However, they fell just short, only managing to tie the game. Iowa eventually lost in overtime, but it ran some great stuff in the 2nd half to get back in, and almost win, the game. Down a bucket to Auburn with under two seconds left in regulation, the Aggies ran this BLOB to get off a 3pt look to potentially win it. The fake lob was key, which followed by the screen-the-screener action was able to confuse the Tiger defenders, allowing 2 the wide open look from deep. Unfortunately for NMSU, it didn’t fall. 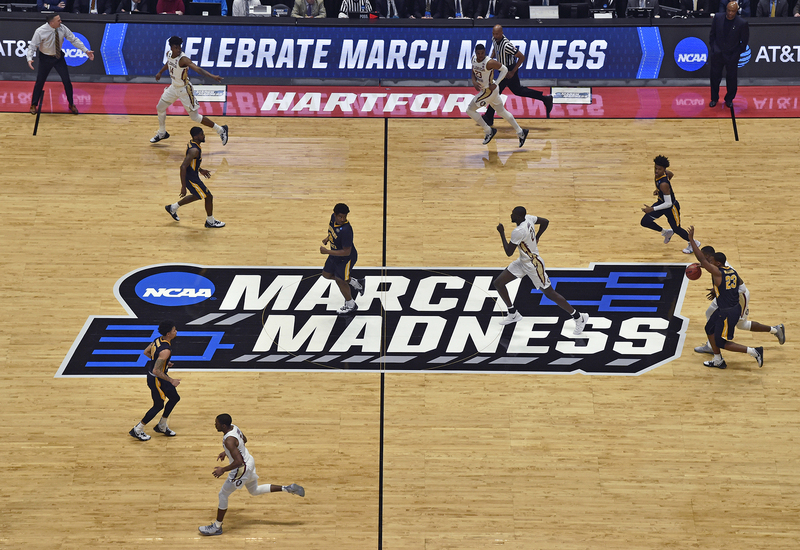 Playing without its head coach, LSU showed a ton of fight to beat Yale by five in Round 1, and take down Maryland by two on a last second bucket in Round 2. Sure, the Tigers have plenty of athletes, but give them credit for executing solid offense to earn some big wins. Maybe the most dangerous 2-seed in the women’s bracket, the Ducks have rolled to back-to-back 38 and 23 point wins, over Portland State and Indiana, respectively. Head Coach Kelly Graves is known for being one of the most creative offensive coaches in the women’s game. 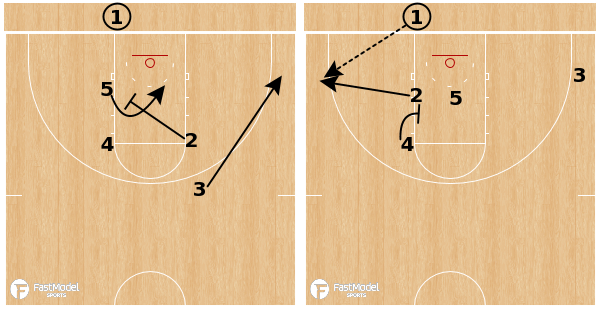 Look for Oregon to continue to put pressure on opposing defenses with sets like this SLOB that flows right into half court offense. Click for the full #FastModelMadness campaign on Twitter!